The art world is vibrant. New artists rise to fame, already famous artists achieve record sales. Artworks find new owners, and sometimes disappear from the public view until the next auction. Museums invent ever-new occasions to show their collections or works from around the world, and occasionally offer studio-like opportunities to living artists. Art openings are celebrity studded must-see events; little more than fleeting, high profile runways. 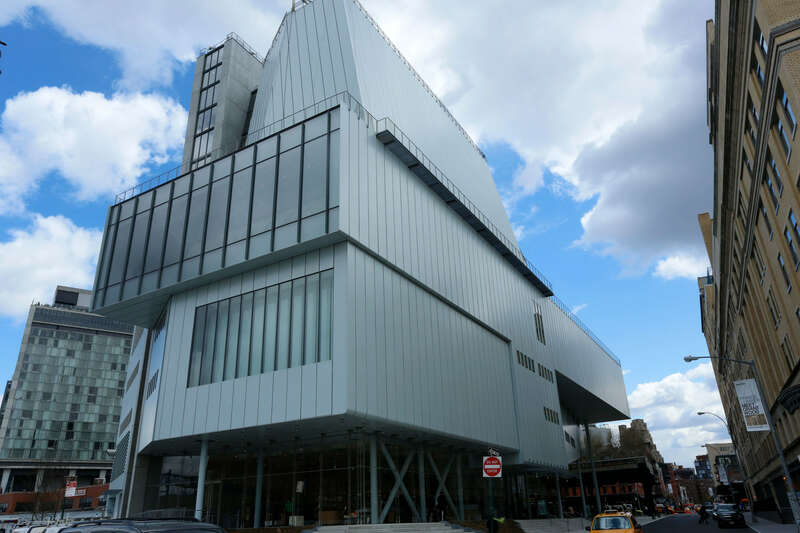 A look at the newly celebrated Whitney Museum by star architect Renzo Piano perhaps epitomizes why museums still play a definitive role in today’s society. This May the new building was inaugurated. Celebrations happened in various phases with press (first), celebrities (at night), politicians (for ribbon cutting) and finally a block party including free access to the museum for the general public. For this museum of American art, the Meatpacking District is not completely a new location since its origins were precisely in the same neighborhood. The reason for the move was the structural necessity of needing more exhibition and archiving space for the collection. Its previous home located in the Upper East Side was the building designed by Bauhaus architect Marcel Breuer: a cube accessible through a bridge as a fun reverence to medieval castles. There is indeed something special about the entrance to an art museum. I.M.Pei glass pyramid leads visitors inside the Louvre by going first underground. Niemeyer’s ramp invites visitors to its UFO like museum in Niteroi (Brazil). 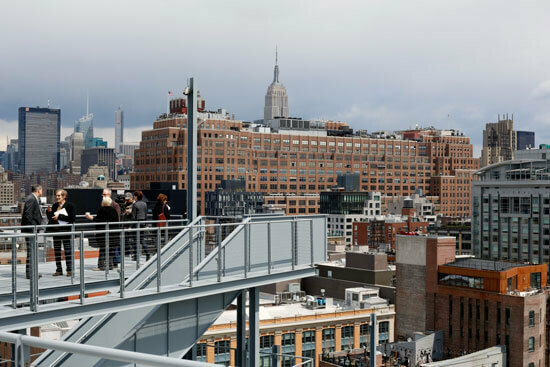 The Whitney elegantly chooses a combination of ramp and stairs. Medieval bridges, pyramids or sci-fi ramps are not only a break from the classic entrance through stairs. They symbolically represent the new role of museums today. Museums are not static and intimidating places for few selected people. 1) They should be locations for new encounters, debates and discoveries. 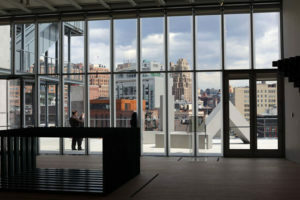 Once crossed the entrance’s doors, Whitney’s atrium is large and high, elevating towards the High Line, which will now become visible. 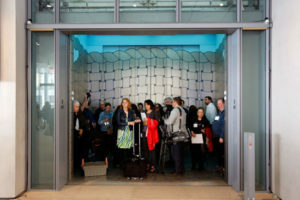 Glass windows create a sense of openness meanwhile the two freight like elevators, decorated curiously with work by Richard Artschwager, and edgy spiral stairs lead people up to the exhibition floors. Classic columns discontinue the minimalistic architecture of glass and cement walls and factory-like ceilings. It is certainly not an accident that Renzo Piano calls the atrium of his museums “largo.” A largo is an Italian big square. That’s where la bella vita occurs in different times of the day with the encounter of different types of people – workers hastily walking through, moms with kids and later young adults with their lovers. The restaurant on the right of the entrance is not the only recreational area. There is one on the top floor as well. This is the eighth floor. As is suggested in the guide it is from here that a visit to the Whitney should begin. Even if all exhibition floors from the eighth to the fifth are similar by their wooden pavements and moving walls (at times colored to create thematic spaces), the top floor reveals an additional special characteristic. It has an attic ceiling, which reflects the typical atelier roofs (exemplary is Brancusi’s atelier facing Piano’s 1977 Pompidou art center). There is another floor accessible to the public, the third floor. While the upper floors exhibit art and induce one into a more meditative state, this floor is dedicated to educational activities and has a theater for performances, screenings or conferences. The exhibition floors can be reached through the inside stairs, the elevators or the outdoor stairs connecting various terraces. 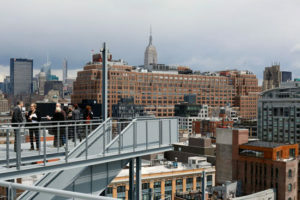 It is this facade with metallic stairs and terraces on the side of the building that most directly interacts with the city, vaguely referencing fire escapes of the surrounding buildings. On the contrary, the west side opens up toward the river with windows, as if to invite the passerby to sneak in with a voyeuristic look. South and north sides have no openings forcing the visitor into an east west directory, perhaps, symbolically corresponding to the rising/setting sun. Though all four sides have different shapes, the whole building looks nevertheless monolithic. It is only once explored inside that it all makes some kind of charming sense. The Italian architect Piano, born in Genoa in 1937, designed this museum combining various elements of classic values with modern shapes and functionalities. Thus the Whitney belongs certainly to that category of buildings that can be considered themselves works of art (designed by architects raised to stardom, like Zaha Adid, Frank Gehry, Herzog-DeMeuron, Jean Nouvel, Mario Botta to name just a few). So what is a museum all about? 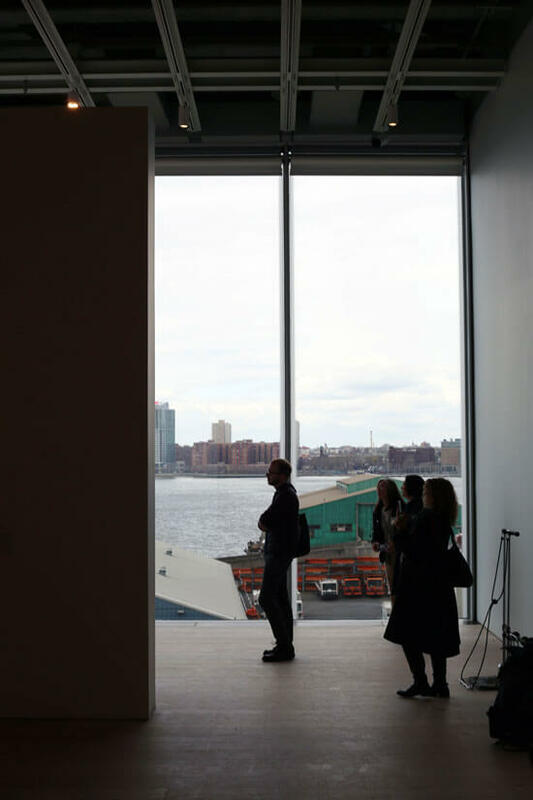 Should museums responsibly preserve art and/or plan to educate the public? How can the choices of the exhibition themes and the new acquisitions into the collection be simply more than just trendsetting? Why do so many collectors and fashionistas erect their own museum (Fondation Cartier and Fondation Vuitton in Paris for example)? What is an art museum if we don’t know unequivocally what art is? 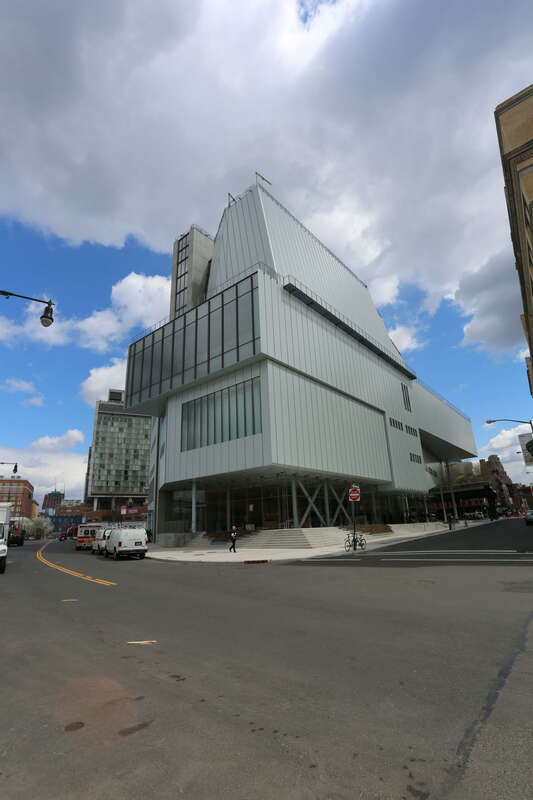 With his own comment, Renzo Piano contributes to the debate on the role of museums today: the Whitney is designed to make freedom visible. This is the place where art is collected and shown. But in history art is an expression of rebellion.